Day 1: Departure from Kolhapur at 6.00 AM. En-route breakfast at Satara and proceed to Morgaon (Mayureshwar), the first Ganpati in Ashtavinayak. After darshan, proceed to Siddhatek (Siddhivinayak). En-route Lunch at Daund and proceed to Theur (Chintamani). After darshan, proceed to Ranjangaon (Mahaganapati). Darshan and proceed to Ozar, dasrhan at Ozar (Vighneshwar). Overnight stay at Ozar. Day 2: Early morning proceed to Lenyadri (Girijatmaj), its situated on the hill. En-route breakfast at Lenyadri and proceed to Bhimashankar. Visit & darshan at temple. Lunch at Peth. After lunch, proceed to Dehu & Alandi for darshan. Overnight stay at Pune. Day 3: Morning proceed to Mahad (Varadvinayak) anddarshan. 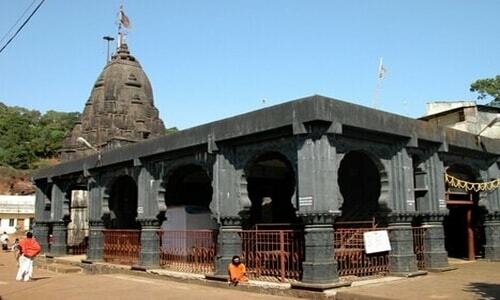 After Breakfast proceed to Pali (Ballaleshwar) Darshan and proceed to Kolhapur. Drop at Shirval – Satara- Karad- Peth Naka – Kolhapur.